The German satirical (but as it turns out, seriously undertaken) attempt at circumventing EU light bulb laws by marketing incandescent bulbs as "Heatballs" has been well covered in previous posts here, as can be seen using the search functions on the left. The major explanatory post is "We want to shed more heat than light!". In the ever-ongoing legal battle, the most recent decision of the local Aachen court 19th June 2012 has gone against them...though "leave to appeal" to the regional Münster court has again been given (keeping lawyers in clover). 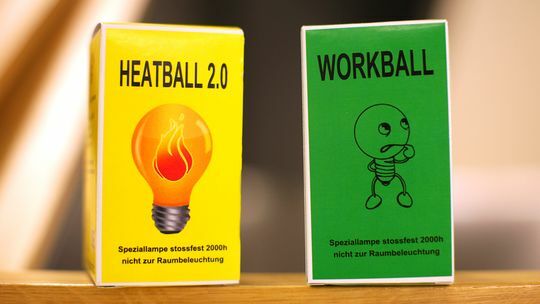 die Elektrische Widerstandsgenossenschaft eG wird am 19.06.2012 wieder in Aachen vor dem Verwaltungsgericht in der Hauptverhandlung um die Zukunft des Heatballs kämpfen. Im letzten Sommer hatten wir das Eilverfahren in Aachen verloren, doch seitdem hat sich einiges verändert. Das Oberverwaltungsgericht in Münster hat nun festgestellt, dass die Heatball Aktion keine Kunst ist; nun ja im Urteil des Berliner Kammergerichtes heißt es dagegen, dass der "durchschnittlich informierte Verbraucher" die Aktion als solche durchaus erkennen könne; alles eben eine Frage der Sichtweise. In der Urteilsbegründung im Eilverfahren des VG (Verwaltungsgericht)-Aachen war die mangelnde Verbaucherinformation als Grund angegeben worden, warum der Heatball auch keine Speziallampe sein kann. Diesen Missstand hatten wir direkt nach Bekanntwerden geheilt. Das Finanzgericht in Düsseldorf hat im Frühjahr zu unseren Gunsten entschieden und festgestellt, dass die Beschlagnahmung der Heatballs am Flughafen nicht Rechtens war. Der für die Genossenschaft entstandene Schaden durch die unnötige und rechtwidrige Zwangseinlagerung, die auf Betreiben der Bezirksregierung durch den Zoll erfolgt ist, wird uns allerdings nicht erstattet; diesen müßten wir einklagen. Mit viel Geduld ist es uns nun gelungen, dass auch der juristische Dienst der EU-Kommission eine Stellungnahme zur Definition einer Speziallampe abgegeben hat. Wenn sich das VG-Aachen in der Hauptverhandlung hieran hält, dann dürfte dem Heatball der Titel als Speziallampe zustehen und die Ordnungsverfügung könnte aufgehoben werden. Dies wird aber aus politischen Gründen nicht passieren dürfen. In unserem Shop haben wir derzeit Lampen der Firma Philips, die als Speziallampe anerkannt sind. Die Bezirksregierung hat prompt hiervon Warenproben genommen, die sie nicht beanstandet hat. Baugleiche Lampen waren von uns bereits in Aachen beim Eilverfahren gezeigt worden, um auf die Möglichkeiten einer Speziallampe hinzuweisen. Diese Produkte werden offensichtlicherweise von der Bezirksregierung nun als rechtskonform angesehen. und Heatball 2.0 auf den Markt bringen und gleichzeitig der Bezirksregierung Warenproben sowie Verbraucherinformationen zukommen lassen. Da diese Produkte identisch zur Philips Speziallampe sind, würde uns die Begründung eines Verbotes sehr interessieren. the electrical resistance is fighting on 6/19/2012 eG again in Aachen before the Administrative Court at the trial about the future of the Heat ball. What has done it all? Last summer we lost the fast track in Aachen, but since then a lot has changed. The Higher Administrative Court in Münster has determined that the Heat ball action is not art, against the judgment of the Berlin Chamber Court that stated that the "average informed consumers" can see the action as such, certainly, all just a matter of perspective. In the judgment of the VG(Verwaltungsgericht)-Aachen court, the lack of information for consumers was given as a reason why the Heat ball can not be a special lamp. This grievance we immediately fixed after the announcement. and found that the seizure of the Heat balls at the airport was not rightful. The resulting damage to the cooperative by the unnecessary and unlawful coercion storage, done at the behest of the District Government through customs, has not been refunded, which we have had to complain about. With patience, we have now succeeded, that the legal departments of the European Commission have given opinion on the definition of a special lamp. If the VG-Aachen holds thereto at the coming trial, then the Heatball definition as a special lamp is expected and the public order could be lifted. For political reasons this will hardly be allowed, however. In our shop we currently have lamps from Philips, recognized as a special lamp. The district government has taken samples from us, but that status has not been challenged. Identical lamps had been already shown by us in Aachen in summary proceedings, to indicate the possibility of recognition as a special lamp. These products are obviously considered by the district government as legal. As a consequence, we are now in the next week bringing out the products Work Ball and Heatball 2.0 to the market and will at the same time send samples to the district government including the consumer information. Since these products are identical to Philips special lamps, we would be very interested in any reason for a ban. The local Aachen paper set the stage just before the court decision, article, June 18. Article translated by Google, here. German Zeit paper on decision, 19 June article, Google translation. 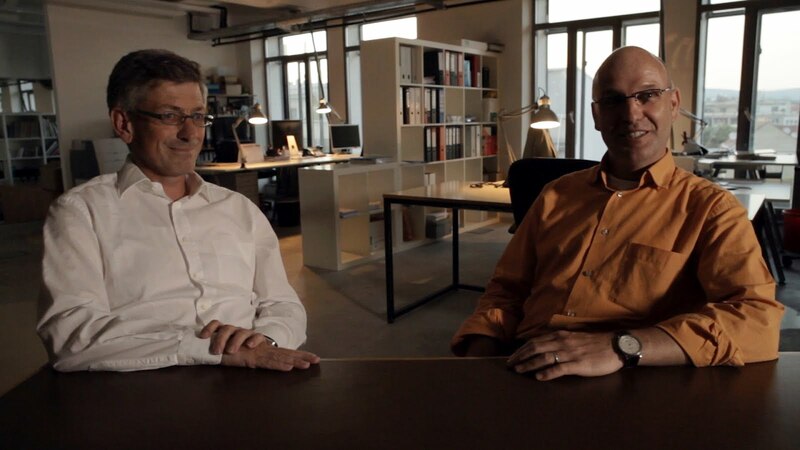 Engineer Dr Siegfried Rotthäuser and his physicist colleague Dr Rudolf Düren Hannot who are behind the Heatball action have evaluated the action as a success nonetheless. "We have attracted attention. Now deal with the other criticisms of the incandescent ban." As scientists, they doubt the environmental effect of the banishment of the "small, innocuous" light bulb - and they see themselves as eco-friendly, with 30 cents from each sale going to a rainforest project. "They (the ruling politicians) dedicate themselves to energy-saving regulations, instead of considering where climate change really come from", he says. The Administrative Court of Aachen also looked at the 'heat balls' as household lamps in terms of the EC Regulation. The crucial factor was the purpose from a consumer perspective. 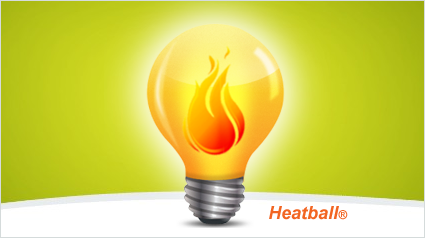 From that viewpoint, the "Heat Ball" was seen as conventional incandescent lighting, and did not fall within the definition of special lamps which are allowed by the EC Regulation. Moreover, the Aachen Chamber did not see a prohibition as a violation of the fundamental right to artistic freedom. Leave to appeal to the Higher Administrative Court of Münster was granted. Basically then, the objection is from a marketing perspective, rather than from the bulb itself. See the packaging below, and the writing on it. Their bulbs were basically legal Chinese made "rough service" type incandescent imports, and the new Philips line are similarly defined legal as quoted - that is, legally sold as "lighting" elsewhere in Europe as in the USA for the time being (the law will likely gradually tighten also in the EU, given the parallell ongoing halogen bans). An irony, as said before, is that the legal incandescent bulb types sold by Heatball and some American distributors "waste" more energy, than their now illegal equivalents of the same brightness (longer lifespan but needing higher wattage for same brightness as the pre-ban bulbs). Is there any research about heat benefit from incandescents? post and all the institutional references there, also the Ceolas.net/#li6x section of the website accompanying this blog.